On Tuesday Union Minister Nitin Gadkari said a cruise tourism policy will be announced next month. It came into the picture with the motive of establishing India on the world cruise map that helps in creating around 2.5 lakh jobs in the nation. The National Tourism Awards 2016-17 has been presented by Union KJ Alphons on Thursday and launched the mobile app named ‘Incredible India' along with the “Incredible India Tourist Facilitators Certification” event on the occurrence of the World Tourism Day. “In 2019 India will be the hosting nation for the official World Tourism Day celebrations for the UNWTO” further announced by the minister. A new Memorandum of Understanding signed to promote tourism between India and Romania. It was signed during the visit of the vice-president of India to Romania. Romania is considered as a potential tourism market for India. The main motives behind signing the MoU are to expedite the movement of tourism between these two nations, to make more and more investment in the sector of tourism and hospitality, to increase cooperation in the tourism industry, etc. The Kerala tourism is back after a devastating flood with various new tourism initiatives. The Kerala Tourism Minister, Kadakampally Surendran pointed out by saying the season's first chartered flight from Australia to Kochi has carried 60 tourists. The minister said after the inauguration of Kannur airport the Malabar region in north Kerala will be promoted in a huge manner. He further added that “The Government will consider arranging tours, road shows and champions boat league for travel writers. Tourism Ministers of India and Morocco led a bilateral meeting on tourism cooperation between the two countries in New Delhi on 18 September 2018. In result, Morocco is opening its first tourism office in New Delhi. Both the ministers agreed to increase the tourist arrivals between the two countries. The main motive behind this meeting is to enhance the tourism. "India and Morocco have a very diverse tourist sector that is rooted in their civilisations. We can also learn a lot from each other's tourism sector as it is a very strategic sector that can create jobs," said by Mohamed Sajid, Moroccan Politician. The Prime Minister Narendra Modi will inaugurate the first Indian Tourism Mart (ITM), which will take place at Vigyan Bhawan, New Delhi from 16th to 18th September. It is coming to the existence through the partnership of the Ministry of Tourism and Federation of Associations in Indian Tourism and Hospitality (FAITH) and with the help of State/UT Governments. Its aim is to position the nation’s tourism destinations and products in the international market. Delegates from potential markets such as East Asia, West Europe, North America, CIS countries, Latin America, and many more are invited. More than 300 (approximately) international buyers, influencers, bloggers etc. are presuming to arrive at the event. Union Minister of State for Tourism K J Alphons will inaugurate the ‘Tribal Tourism Circuit’ at Gangrel in Dhamtari district of Chhattisgarh on September 14. The project is being developed to highlight tribal culture to the domestic and foreign tourism by Chhattisgarh Tourism Board. The key components for development under the project are ‘Ethnic Tourist Village’ and ‘Ethnic Tourist Development’, Destination Development and Wayside amenities. The project is being developed by Chhattisgarh Tourism Board. Notably, the Union Tourism Ministry had allocated Rs 99.94 crore to develop Tribal Tourism Circuit to highlight tribal culture to the domestic and foreign tourists in the year 2015-16. The state will organize the Kerala Travel Mart (KTM) from September 27 to 30 with the motive of projecting the destinations among 10,000 buyers and sellers. In order to increase the traveller's footfall, the Kochi-Muziris Biennnale will be used to promote the destination from December to March 2019. British Airways and Vistara have announced their partnership to make travelling easier. It has introduced 13 new destinations, which will boost the Indian tourism in an effective and efficient manner. With the help of this agreement, customers can book their flights from Chennai, Mumbai, and Delhi. Now, British Airways customers can easily visit the cities like Ahmedabad, Amritsar, Bhubaneswar, Chandigarh, Goa, Kolkata, Kochi, and Pune. Earlier it was difficult to travel India from the Uk. The facility of providing meals to the passengers has been also introduced. This facility has been extended for the citizens of 165 countries. A 365 days toll-free multilingual tourist helpline has also been introduced. Events like 'Paryatan Parv' (tourism festival), International Buddhist Conclave and International Tourism Mart have been organized in order to promote tourism in India. Uttar Pradesh CM Yogi Adityanath has introduced various schemes for the development of tourism and travel industry with a view of bringing the state at the top of country’s tourism sector. State Govt has decided to build new airports at Moradabad, Bareilly, and Azamgarh for improving the connectivity. Rajasthan Government has launched multi-year, multi-modal, multi-narrative, multi-core global and campaigns to promote its tourism. It aims at enhancing the tourist from 1.5 million to 3.0 million by 2020. It will not only raise the number to foreign tourist but also enhance the domestic viewers from 33 million to 50 million per year. Rajasthan Chief Minister, Vasundhara Raje said, “Tourism is the world’s biggest industry and Rajasthan is rich in this industry because it has explore it efficiently. It grants jobs and improves economic status in the state by both direct and indirect means.” She further adds, “the plan of enhancing tourism is associated with basic model of Government such as social justice and job creation.” Government has also introduced the logo for a year to promote tourism. The main motive is to enhance the tourist footfall in the coming three years, which will increase the platform for the entire tourism and hospitality stakeholders so that they can easily communicate and create maximum business opportunities which will lead to boost in tourism industry all across the country. With the help of this event, India can present its numerous little-known destinations to the world in an effective and efficient manner. Tourism Minister of Sri Lanka, John Amaratunga, recently stated that Prime Minister Ranil Wickremesinghe in a move to boost tourism is looking out for possibilities of offering visa-free entry to tourists from tourist-friendly countries. For the said task, the Sri Lankan Prime Minister has even appointed a task force that will be working on the ground level. As this effort is all to boost tourism into boosting tourism in further regions with Liberation Tigers of Tamil and emerges it as one of the top destinations in Asia. While India topped the list by registering a record number of arrivals in Sri Lanka at 206337, Chinese tourists followed at 136294. All tourists to Sri Lanka must obtain an Electronic Travel Authorisation (ETA) cards before their arrival. World Tourism Day (WTD) 2018 will shed light on how digital technology is transforming travel and tourism industry. By providing opportunities for innovation and preparing the sector for the future of work, celebrating this World Tourism Day, in Budapest, Hungary (27 September 2018). The importance of digital technologies in the tourism industry. explains, advances including big data, artificial intelligence, and digital platforms, on the map of sustainable development. “We must better understand the growing economic, societal and environmental impacts of technology and innovation in tourism if our sector is to sustain continuous and inclusive growth in line with the Sustainable Development Goals of the United Nations,” states the WTD website. Indian Airlines Seek $50-bn Funding to Buy Planes for the Next 10 Years. Indian Airlines, which have placed large aircraft purchase orders, the carriers will require an estimated $50 billion of financing to support projected deliveries until 2027 a report said. "Positive market conditions have led Indian carriers to place bets on expansion on an unprecedented scale, with as many as 723 aircraft ordered since 2014 and more orders expected." Its an unexpected recovery in Indian aviation since 2014. Represents, good growth of 8-10 percent per annum in recent years creating many career opportunity in the Airlines industry. The airport will serve as a gateway for tourism development since Kodagu is closer to Kannur than Mangaluru and Bengaluru, and thus enhances air connectivity, which could boost tourism. “Tourists who want to visit Mysuru and Madikeri may choose to travel via Kannur airport instead of Bengaluru’s Kempegowda International Airport since the Kannur airport is near to this area. "Tourists who want to visit Mysuru and Madikeri may choose to travel via Kannur airport instead of Bengaluru’s Kempegowda International Airport since the Kannur airport is near to this area. Traveling from Bengaluru airport to Mysuru is very difficult because of bumper to bumper traffic. Hence, people will opt for the Kodagu route where the road is also good"
Kodagu locals feel the new airport is expected to help export of commercial crops grown in Kodagu district and will also cater to non-resident Indians from Kodagu with efficient and cost-effective travel. Do you want to travel the world but are you stuck in a 9-to-5 Job with two weeks of holidays? There are jobs for which you can wander on your employer's penny that pay more than $ 100,000 per year. A publicist establishes and maintains positive relations with the media, placing his clients in different media, from television to magazines. A travel blogger works for a hotel (or hotel chain), a cruise line, an airline or an advertising agency that represents travel clients. The longer you stay with an advertising agency, the more you can do. The average salary for a high-level vice president is around $ 116,000 a year, according to the Payscale.com job website. Before the Internet, travel agents (as they used to be known) could do as little as booking a plane ticket. Now, travel consultants not only prepare for your trip, but also provide a high level of service and advice, and manage your vacation time. Travel consultants are always on the road, especially those who specialise in luxury travel, where customers with large budgets want consultants to know the product through first-hand experiences. The salary of a travel agent is approximately $ 36,654 per year, with an extra $ 6,000 for bonuses and commissions. The hotel manager ensures that everything about the hotel works without problems. They manage all aspects of the property, including operations, staffing and customer satisfaction, and are mostly responsible for operational efficiency and profitability. While the average salary for a hotel manager is approximately $ 105,000, those who work in a large, high-end hotel, especially in large metropolitan cities, can earn close to $ 200,000 a year. The Glassdoor employment website shows a manager position at Rosewood Hotels & Resorts, a five-star hotel chain, with an average salary of $ 114,000 from $ 95,000 to $ 129,000. A hotel sales manager is responsible for developing businesses through direct sales, marketing, direct mail and tours through the hotel, it also boosts sales revenue, which may be reserving large-scale events and conventions at the hotel. The minimum salary of a director of sales in a hotel is $ 88,116, with the additional compensation in cash (including bonus or commission) of $ 20,621 per year, which amounts to $ 108,737. If you manage commercial sales for an entire region, such as all hotels of the hotel company in a city or region (that is, all Marriott hotels in New England), you can expect a higher salary of $ 117,440 per year with additional compensation of $ 56,729. If you have ever dreamed of being the pilot of a plane, know that you have a high salary: more than $ 100,000 per year (up to $ 208,000 per year for major airlines). The average annual salary is $ 137,330, according to the Bureau of Labor Statistics. The average annual salary for a creative director in the US. It is $ 133,839, but it can reach $ 200,000 at the higher end for those who have more experience and get jobs in large companies. Malabar Tourism to promote Kerala Travel Mart in September 2018. The promotion of Malabar Tourism will be the focal theme of the upcoming 10th edition of Kerala Travel Mart (KTM), which will be a platform for extensive business-to-business meetings and chalking out measures to make the money-spinning tourism sector of the state a sustainable enterprise. India’s largest tourism event, the four-day KTM will be inaugurated by Chief Minister Pinarayi Vijayan on September 27 at 6:00 PM at Grand Hyatt, Bolgatty, Kochi, coinciding with World Tourism Day organised by KTM Society in partnership with Kerala Tourism, the event will conduct its business-to-business meetings at Samudrika and Sagara Convention Centre, Willingdon Island, Kochi, from September 28 to 30. Announcing the details of the KTM 2018 at a press conference on Wednesday, Kerala Tourism Minister Kadakampally Surendran said the opening of Kannur airport this year would give a boost to tourism in the Malabar region in north Kerala. This is in continuation of the summit meeting between the Indian Prime Minister and the Russian Federation President last year to celebrate 2018 as the Year of Tourism in India and Russia. A campaign will be held by the Israel Ministry of Tourism (IMOT) in India from July to August. The focus of this roadshows is to attract Indian tourists to Israel. The schedule for the show is all set. The first show will be held in Nashik, Maharashtra on 19th July followed by Ahmedabad, Gujarat on 27th August. On 29th August the roadshow will be conducted in Kolkata, West Bengal. Finally, the campaign will end with a roadshow on 30th August in the capital, Delhi. In 2017, the record of Indians visiting Israel was 60,000 which is the highest till now. “Israel is becoming a popular destination among leisure and MICE travelers. Beautiful landscapes, historic attractions, availability of Indian food, increased flight connectivity, simplified visa process make Israel a great place for MICE and incentive travelers,” Madah told. Seeing this, Air India has increased the number of weekly flights to Israel. Meanwhile, El Al Israel Airlines operates direct flights to Tel Aviv. Few more airlines have expressed an interest to start providing flights from Israel to India. Additionally, the visa fees have been reduced from Rs 1,700 to Rs. 1,100 so as to encourage Indians to visit Israel more often. Abu Dhabi has seen an increase in the number of guests in the first five months of 2018. It is expected to grow further after reduction in tourist and municipal tax. It is said that the bookings have gone up by 5 percent comparatively from the last year. The boost was mostly due to visitors from China, India and the UK. undersecretary of DCT Abu Dhabi, Saif Saeed Ghobash said, "We expect to see significant momentum across the tourism sector in the forthcoming months with Abu Dhabi summer season having begun in June, the opening of new leisure establishments and resorts such as Warner Bros. World Abu Dhabi on Yas Island from July 25, and Jumeirah’s luxurious Saadiyat Island Resort in November." From 1st July Abu Dhabi has decided to cut down the hospitality related fees. The cut includes lowering down of tourism fees from 6 percent to 3.5 percent while the municipality fees from 4 percent to 2 percent. Ghobash said, “This decision encourages investments across Abu Dhabi’s tourism and hospitality sector." He also mentioned, “It will also help us attract more visitors and increase occupancy rates, revenues and the average length of stay, and thus increase the tourism sector's contribution to the UAE’s GDP." Fifth Bali & Beyond Travel Fair (BBTF) is being held in Bali Nusa Dua Convention Centre from June 26th to June 30th, 2018. The main focus of this fair is on Exploring the Colors of Indonesia. Many experts have been invited to discuss the opportunities and trends in tourism along with the diverse culture of Indonesia. As this fair is focused on business to business event, it is acting as a meeting point for buyers and sellers. Various branches of tourism have been represented in this fair. Tourism Minister Arief Yahya said, “Our biggest challenge is to create a harmonious synergy among all entities”. He also added, “The success of the Bali & Beyond Travel Fair since its first staging is proof of the Penta helix. It has motivated us to fully support the BBTF, which has proven itself to be an acclaimed travel fair with an incredible track record”. Head of BBTF, I Ketut Ardana said it was a proud thing to be a part of the development of Indonesian Tourism. He said, “We chose 'Exploring the Colors of Indonesia' as the theme as we believe in the country’s potential, and how Bali can function as a marketplace”. Tourists visiting New Zealand will now have to pay NZ$ 35 as a tourist tax. According to the New Zealand government website, “contribute to the infrastructure they use and help protect the natural environment they enjoy”. It is expected this law may come into operation by late 2019. The tax will be used for development in infrastructure and amenities for tourists which can include, car parks, toilets and walking track maintenance, and conservation projects such as native planting, breeding programmes and predator eradication. Up to NZ$ 80 million, a year will increase for these projects. Australian citizens, permanent residents, people from the Pacific Islands Forum countries and individuals on certain visas will be exempted from this tax. UAE recently announced that transit passengers will be exempted from all entry fees for first 48 hours. "This transit visa can be extended for up to 96 hours for a fee of only AED 50. Getting transit visa will be facilitated by a number of express counters at the passport-control hall across UAE airports," as per a cabinet announcement. UAE Ambassador to India, Dr. Ahmed Al Banna, said, "this has been done to encourage people from abroad to come to the UAE and experience the development and the tremendous changes that took place in UAE in the last 36 years. Relaxed rules for Indians carrying Green Cards or have a US visa or residency in Europe and UK have already been in force. They can come directly and get a visa upon arrival. The 48-hour visa fee waiver was created to further enhance tourism". According to some reports, it is said that Dubai is the 4th most visited city for Indians. ‘The Economic Times' wrote, "Dubai and Abu Dhabi are the top tourist destinations for Indians". This decision by the UAE will fetch many tourists in Dubai and Abu Dubai. Executive of Cox and Kings, Karan Anand said, "The move by the UAE to exempt transit passengers from all entry fees for the first 48 hours is significant. Many new attractions are opening up in these destinations, and as Dubai gears up for the Expo Dubai 2020, these measures will boost tourism inflows." As people are engaging more and more into traveling, travel insurance is usually neglected. People think that they have had enough experience with traveling and nothing can go wrong. One such incident occurred with Vaneeta Sethi. When she was traveling to the UK to meet her son, though it wasn’t the first time that she was traveling to the UK, she lost her luggage. She was traveling by a foreign airline, which caused more complications. She said, "I was nervous. I asked the airport officials to help me out. They tried to look for my luggage but could not locate it. Here I was ready to meet my son after a year and yet, all that I had brought for especially for him was lost. I first blamed the airline, which promised me the best of help. But I realized later that not taking a travel insurance was actually my fault". People usually risk their belongs and do not choose a proper travel insurance policy. Travel insurance offers various types of policies which may or may not cover all the loss. So, it is essential to carefully choose a policy which best fits your travel plan. Usually, medical insurance is covered while one applies for a travel insurance. But, it is expected when one chooses a policy he/she is well which is beneficial when any situation occurs. There are few things to keep in mind while buying an insurance policy. Points that should be considered are, how much amount is payable? What loss is included? Are medical emergencies covered? Along with this, it is important that you keep the bill of whatever things you have and you might require while reclaiming to the insurance company. Also, adventure sports usually are not covered under the travel insurance policy. Especially when it has a travel warning. If one is high on alcohol or drugs, your insurance coverage gets void and you cannot claim. By 2019, tourism is expected to grow by 10 - 12 percent in northeastern states. After the improved air connectivity, a huge number of tourists will be attracted here. Anand mentioned, “The bookings for North-East have gone up by 18 percent compared to the same period (April-June) last year. Tourism in the North-East region is expected to grow by at least 10-12 percent even in the next year.” The eight states will experience a high demand after the opening of the airport at Pakyong, Sikkim. “Air connectivity has tremendously improved with new routes opening in the region last year. New flights have been introduced using Shillong as a hub to travel to other prominent tourist destinations of Meghalaya like Cherrapunji and Mawlynnong,” added Anand. The age group between 25 - 50 from the major metropolitans have been preferring north-east for their holiday destination to explore the wildlife! Football is the most popular game all around the world. Today, on 14th of June 2018, the opening of FIFA World Cup 2018 will be witnessed in Russia. People from all around the globe are traveling to Russia to watch their favorite team play! People buying tickets for the match can travel for free by all the public transport all over the city. Spectators can travel by train specially added for FIFA between the host cities. Anyone who has already booked a ticket for the match can apply online by registering on the official FIFA website. Just provide the ticket or application number, FAN ID, date and time of the match and the host city of the game being played. Then choose the train route and train seat and you are ready to go! Russia has made 728 additional trains available for the spectators between 11 host cities. A person can avail this service from the airport itself. The availability of the train seats is on first come first serve basis. They have also launched a ‘Fan’s Transport Guide’ on their website or mobile app. Travel and tourism are gearing up since last decade. India has ranked at the eighth position in the business travel market, crawling up two positions. Travel and Tourism businesses are willing to make an investment in India after looking at the exceptional growth. An organizer of an industry said that India’s travel business market will reach USD 93 billion by 2030. These businesses are looking forward to capitalizing on seeing the country’s potential growth. At the 6th annual MICE India and Luxury Travel (MILT) Congress, a premier B2B event company will lead the forging business opportunities and partnerships. Indian tourism department is spending more after seeing the growth. 50 million outbound tourists by 2020 are predicted by the United Nations World Tourism Organisation (UNWTO). "India has been maintaining an annual GDP growth rate of 6-8 percent since 2013, and this strong economic momentum is rubbing off on the country's outbound MICE and luxury travel sector, enabling these segments to post a double-digit year-on-year growth”, Ackash Jain, Director said to QnA International. Jain thinks this outbound marketing is providing new dimensions with great opportunities. On this World Ocean Day, make travel a responsible journey. As we celebrate World Ocean Day, it is our responsibility to travel responsibly. 70% of our planet is covered by ocean. The five major oceans form our beautiful world. It is known that since long ago, humans love to travel from one place to other. But, from few decades, traveling has turned out to be harmful towards our nature. Our oceans are getting polluted and endangering the natural inhabitant of the ocean. Recently, it was found that a whale was found dead. The reason behind the death was it had consumed a huge amount of plastic that was dumped into the ocean. We not only are increasing the global warming but also risking the lives of these innocent creatures. Plastics are the most dangerous thing in nature. Being nondegradable, plastics stay forever in the oceans. We can use alternatives for plastic bags with paper bags or cloth bags. Instead of using plastic bottles, we can carry our own reusable bottles. These small steps make a huge difference to the plastic producing industry. This will ultimately make them produce something which is eco-friendly. We think that ocean can take up all the waste that we litter in the ocean. But, that is not true. The waste we throw in the ocean gets accumulated in these huge oceans. Just remember when you travel to the beach or sail in the ocean, not to litter the surrounding. Which will eventually reduce the pollution level in the oceans! Be generous and keep the beaches clean, as it will also make the beach look clean. Last but not the least. Walk wherever possible. If you want to travel a distance of a kilometer or two, walk to your destination instead of hiring a taxi or cab. This will reduce the pollution that is generated by vehicles as well as it will reduce the consumption of the fuel. Walking can actually give you a very different experience which you cherish. You can also avoid products that are offered for free which are wrapped up in the plastics. These types of free products are specially given in the plane or the hotels. Try avoiding it and soon we can make a huge difference towards our nature. Sports Tourism is experiencing immense growth of 10 -12% in India. Sports enthusiastic are traveling places just to watch their favorite team playing. Cricket is the beloved sport for an Indian. After launching of Indian Premier League, a spike in travel is observed. Not just cricket, people are now turning towards sports like football, tennis and also Grand Prix Formula One race. People also travel to watch Olympics, especially the opening ceremony. Head of Cox and Kings, Karan Anand told to PTI, “Globally sports tourism is a multi-billion dollar industry. According to estimates, global sports tourism was worth USD 7 billion in 2017. While it is a mature industry overseas, in India it is in infancy (stage).” Men usually love watching sports and are always willing to travel to various countries to watch their favorite team or player playing. Love for football is emerging in Indians nowadays. As the FIFA is nearing, people will definitely travel to watch this exciting game. He said, "There has also been a shift in the interest for other sporting events like the Soccer World Cup or the Olympics. We see 10-12 percent growth in arrivals to these destinations when a major sporting event takes place." KAYAK Director, India and the Middle East, Abhijit Mishra said, “Many people use these trips as an excuse for a longer holiday, combining their sporting passions with a general love for travel. On the other side, many in the tourism industry have also begun to realize the value of wooing these tourists - many of them fall into the high-spending category, stay longer than other tourist categories, are high-caliber and often stimulate other tourism.” When a person travels to watch an interesting game, he/she usually tend to explore the area. They extend their stay by at least 2-3 days to enjoy their trip. The AAP government has decided to hire a "social media agency" to present Delhi as a tourist-friendly destination on social networks such as Facebook, Twitter and Instagram. The agency's work is to market Delhi as a tourist-friendly destination on all social networks such as Twitter, Facebook, Instagram, and YouTube. According to the official governments of Madhya Pradesh, Gujarat, Rajasthan and others, social media sites are also "very active" in promoting tourism in their respective countries. When the AAP came to power, it had invited "innovative" ideas from high-ranking bureaucrats who traveled to foreign countries to make Delhi an international tourist destination and to extend the time for tourists in the city by giving them more opportunities to explore the heritage city. The government issued revised security and quality guidelines for "adventure tourism" in India on Thursday. The guidelines, which have been formulated in consultation with the ATOAI (Adventure Tour Operators Association), provide the basic minimum standards for land, sea and air activities: mountaineering, trekking, bungee jumping, paragliding, kayaking, scuba diving, snorkeling, and rafting. “In order to have a strong foothold in the field of adventure sports, better safety measures are mandatory. It is imperative that all adventure tourism stakeholders provide for better vigilance and strict adherence to these guidelines,” Tourism Minister K. J. Alphons said. It covers issues such as the role of a guide, equipment required, inspections, maintenance processes, operating instructions, and risk mitigation and medical safety, among other aspects. Ms. Verma said that States needed to adopt the guidelines and create awareness among operators to do so, too. The overseas offices were started beneath the Ministry of business to position Asian nation as a most popular tourist destination and organize events to extend the country’s share in the global business market. "The plan is to reshape these 14 offices into eight regional hubs for greater efficiency The offices in Toronto and Los Angeles are the first ones to be wound up." According to sources within the business Ministry, the move follows an indoor survey conducted by the Overseas promoting Division in Delhi virtually a year agone to assess the value of running these overseas offices as compared to the revenues they generate from the individual markets. The study had found that many offices as unprofitable. "Based on allegations/ complaints/ audit observations, etc, received in the Ministry of Tourism against India Tourism Offices in Beijing, Frankfurt, Johannesburg, London, New York and Toronto, disciplinary proceedings have been initiated in cases where prima facie allegations were found to be substantiated." Pune, Maharashtra – Travind Institute of Travel & Tourism Management conducted The Philippines Training Destination Module, taking place at Travind Institute on 13 May 2018, in collaboration with Philippines Tourism Board. Travind Institute is proud to conduct such events on regular basis as a part of their curriculum providing in-depth knowledge of the subject matters pertaining to travel destination worldwide. The module was conducted by Mr. Mandar Kelkar, who represented the tourism board of Philippines presenting the nitty-gritty of traveling to the Philippines. In the words of the speaker,“It’s More Fun in the Philippines!- the Department of Philippines always welcomes its tourists all over the world focusing on Leisure, FIT (Free Individual Traveler), Destination Weddings boosting the sustainable eco-tourism and medical tourism leading to the financial growth of the country. He added saying “Usually such events are mostly conducted by travel agencies. I really appreciate the efforts taken by the Travind Institute to conduct such good events for its faculties and students. For the first time, I could interact one on one with the students, the upcoming leaders in travel and tourism industry”. The student enjoys such interactions with industry experts since they get to learn things straight from the horse’s mouth. This is practical training in a true sense. The institute celebrated the entire week ( 13 May 2018 - 19th May - 2018) as The Philippines week exploring and studying the destination and the history of the country. Kerala Tourism’s FB Page got First Position with 1.5 Million Likes. Kerala Tourism Facebook page got first position in term of the ranking done by facebook based on total engagement that includes like, share , comments and the reaction given by the tourist between the time frame 1 January and 31 December 2017. Pushing Jammu and Kashmir Tourism Department's Facebook page to the second place with 1.5 million likes to emerge as the top page and Gujrat to third place. Speaking on the achievement, Rani George, Secretary, Department of Tourism, Kerala, said, "Kerala Tourism has been able to successfully convey the reasons as to why Kerala is a destination that should be on every traveller's itinerary". Hearty congratulations to Kerala Tourism Department. As Indians are big fan of sports and travel, sports tourism industry in India sees 10-12 per cent growth says experts. "Globally sports tourism is a multi-billion dollar industry. According to estimates, global sports tourism was worth USD 7 billion in 2017. While it is a mature industry overseas, in India it is in infancy (stage)," Cox and Kings Head, relationships, Karan Anand told here. The first love for Indians is cricket and they travel to watch the game, whether in India or overseas, he added. Sport events like the Soccer World Cup or the Olympics. We see large number of people travelling to the destination where the sport is going to be played. Over the last 10 years its reported that the interest to watch the olympics, the Soccer World Cup and Grand Prix Formula One motor events apart from cricket. India Marketing Head, Brand, Manmeet Ahluwalia said India saw a change in travel patterns and rise in incidence of travelling for sports events ever since the launch of Indian Premier League in 2008. “Indians always loved to adored the two games and travel, so occasions around donning occasions are the ideal mix to fulfill two desires immediately, he added. Many people travel for watching these sports and hence these trips boost sport tourism and many tourism industry have began to realise the value of wooing these tourist - many of them fall into the high-spending category, stay longer than other tourist categories, are high-calibre and often stimulate other tourism," he added. The tourism department which wants to develop lesser-known destinations in the state by connecting them to major ones is trying to tap the adventure tourism potential of spots like Bhoothathankettu and Thattekkad which can be accessed by tourists traveling to Munnar. "The plan is to promote inland destinations like Bhoothathankettu and Thattekkad as an alternative or at least a one-day stopover destination enroute Munnar, by developing adventure tourism activities like bamboo rafting and kayaking. Just like how Kumarakom was developed from scratch to one of the most desired tourism destinations in the state, the project envisions the development of these locations in a manner that would give them a pride of place in the state's tourism map," he added. If you are thinking to start with your new travel startup, then you must consider these 6 latest core trends before entering into tourism and hospitality industry. 1) Focus on smoothing the customer experience. 4) Sustainable tourism - Encouraging travelers to respect and support environment and economy of destination. 5) Strong Online networking with advanced identifications and associate help inside groups using all social platforms. 6) Tools and platforms that benefit from introduction of artificial intelligence and blockchain. GITB 10th Edition ( Jaipur) Starts from 22- 24 April 2018. 10th edition of the Great Indian Travel Bazaar (GITB) 2018 is to take place from April 22 to April 24 in Jaipur. Dr Jyotsana Suri (Chairperson FICCI Tourism Committee and past president FICCI) said that in a span of 10 years, GITB has gone from strength to strength and was now a force to reckon with in the inbound tourism marts. The main theme of this year’s edition of the bazaar is to focus on inbound tourism. During the event -"10936 business to business structured pre-fixed meetings are to take place with over 280 foreign tour operators from 55 countries”. Apart from Host State – Rajasthan, Tourism Departments of 9 States will be participating which include Gujarat, West Bengal, Madhya Pradesh, Odisha, Andhra Pradesh, Telangana, Goa, Punjab and Tamil Nadu. Additionally report state that, The Minister of State (Independent Charge) for Tourism, Government of India, K.J. Alphons will inaugurate the exhibition on 23rd April. And Chief Minister of Rajasthan, Vasundhara Raje shall grace the inaugural session as Chief Guest. MOT targets to increase India’s FTAs to 1% by 2020 and 2% by 2025. KL Alphons, the union minister said that the ministry of tourism targets to increase India’s FTA ( Foreign Tourist Arrivals) to 1% by 2020 and 2% by 2025 in the world’s tourist arrivals reflecting the boost in tourism. The share of India’s FTAs in during 2016 was 0.71 percent, while the share of India’s International Tourist Arrivals (which includes Foreign Tourist Arrivals and arrival of Non-Resident Nationals) in world’s International Tourist Arrivals during 2016 was 1.18%. MOT launch has two flagship schemes – Swadesh Darshan – Integrated Development of Theme-Based Tourist Circuits, and PRASHAD – Pilgrimage Rejuvenation and Spiritual, Heritage Augmentation Drive for creation of tourism infrastructure, generating pro-tourism culture in the people. MOT has launched Social Awareness Media Campaigns reinforce the spirit of ‘Atithi Devo Bhava’. Tourism Fiji has announced Ileana D'Cruz the brand ambassador -new Indian face to Fiji! The Madhya Pradesh Tourism Board (MPTB) has reportedly created a land bank with the aim of giving a major boost to tourism in the state.Minister of State for Tourism (Independent Charge) Surendra Patwa has said that “Madhya Pradesh has been segregated into five tourism regions and potential of private investment has been identified - Indore, Jabalpur, Bhopal, Gwalior, Rewa region”. Indian Railways, to promote heritage tourism work on meter-gauge lines. A senior official from the Railway Ministry said regarding this development, "As part of the strategy to preserve the meter-gauge lines, Indian Railways is planning to preserve few meter-gauge lines, which have the potential to attract more tourists." As per the data, by WTTC the travel and tourism sector generated Rs 14.1 trillion (USD208.9 billion) in 2016, which is the world’s 7th largest economy and the sum is equivalent to 9.6% of India’s GDP. Additionally, the new report says that the tourism sector created 40.3 million jobs in 2016, which ranks India 2nd in the world in terms of total employment generated. The sector accounts for 9.3% of the country’s total jobs. “India is a tremendous Travel and Tourism economy, and I am pleased to see the sector GDP is growing. However, we believe that these numbers could be even higher and that the positive impact of our sector could be more wide-ranging. India has a huge potential to increase its international visitors and, in doing so, it can create more jobs and drive economic growth”. He added, “We encourage the Indian government to continue to adopt policies that encourage the tourism in India”. Therefore, it's a great advantage for those who are working in travel and tourism sector and also for those who wish to make their career in travel and tourism sectors. Mumbai-Goa cruise services to boost employment. The cruise service provider promoting itself as a cruise tourism destination to generate employment. Union minister for road transport, highways and shipping Nitin Gadkari said on Tuesday. “A businessman from Goa has brought a very good vessel. Almost 550 to 600 people will be able to travel by it and the vessel will have five to seven restaurants.” He added that the hotel industry too will benefit hugely from cruise tourism. He added - “Commenting that employment is a serious problem facing the nation, the minister said that adequate support for cruise tourism in the state will help enhance employment prospects for Goans”. Indian tour operators and the travel agents are requested to add value to the tour packages as per the growing demands, changing needs of the travelers apart from their define itinerary. Ms. Sharma addresses more towards the growth of tourism, She talks about the Campaign "The Great Indian Blog Train" Where 60 bloggers who were on four luxury trains recently, commented that more freedom should be given while traveling, rather than just follow a rigid itinerary. Thailand Tourism Authority has launched its new marketing concept 'Open to the New Shades of Amazing Thailand' in India. The campaign focused on attracting more visitors to Thailand. Discover new perspectives on existing attractions and including unique experiences in new tourist attractions. In his product presentation, Tanes Petsuwan, TAT Deputy Governor for Marketing Communication said, "The Open to the New Shades concept is about asking visitors to 'open' their minds and hearts to deepen and widen their experiences into a new perception of attractions and variety of experiences in Thailand." The campaign will introduce brand-new products to visitors, or reveal a new destination to explore Thailand. To target specific customer like Luxury Travel, Weddings and Honeymoon visitors, Female Travellers and Families. Also targeted are university students and newly working women. Mumbai To Pune Via Hyperloop : 140Kms Journey in Just 25 Minutes. Maharashtra announces to built its first Hyperloop route in India between Mumbai to Pune. Virgin Hyperloop One Chairman and founder Sir Richard Branson announced the Framework Agreement in the presence of Hon'ble Prime Minister Narendra Modi and Chief Minister of Maharashtra Devendra Fadnavis to begin the development of the route. Richard Branson Said, "Virgin Hyperloop One can help India become a global transportation pioneer and forge a new world-changing industry." "I believe Virgin Hyperloop One could have the same impact upon India in the 21st century as trains did in the 20th century. The Pune-Mumbai route is an ideal first corridor as part of a national hyperloop network that could dramatically reduce travel times between India's major cities to as little as two hours," he added. The Hyperloop route will connect Mumbai and Pune, link central Pune, Navi Mumbai International Airport, and Mumbai in 25-minutes connecting 26 million people and creating a thriving, competitive megaregion. Navi Mumbai International Airport will handle six crore passengers annually. Projected to be largest Greenfield airport in India. Narendra Modi, Prime Minister of India, inaugurated the airport the fourth terminal of Jawaharlal Nehru Port Trust (JNPT) in the presence of many big names like Vidyasagar Rao, Governor of Maharashtra; Devendra Fadnavis, Chief Minister of Maharashtra; Nitin Gadkari, Minister of Road, Transport & Highways Shipping and Waterways, River Development and Ganga Rejuvenation, Government of India; P Ashok Gajapathi Raju, Minister of Civil Aviation, Government of India; Dr GVK Reddy, Chairman and Founder, GVK; and other dignitaries. "Navi Mumbai International Airport will be boon to the CSIA airport in Mumbai which today handles traffic equal to the traffic of entire nation 25 years back and is already saturated in terms of capacity. Gadkari commented , "Costing INR 8,000 cr, JNPT's fourth terminal will further boost India's trade activities, especially on the international level through seaways. JNPT already contributes 54% of port traffic in the country. This terminal is a boon to Maharashtra and Konkan region as it will also provide employment to 1.25 lakh people in these regions. Further, the government is planning to handle traffic activities for this port through seaways thereby reducing traffic in Navi Mumbai area and be cost effective too. Also, the government is working on developing seaways to connect to Navi Mumbai International Airport from Mumbai." Modi added that seaway plays a very important role in international trade activities and development of ports like JNPT is a sign that the present government is working towards opening doors of trade for the world and boost country's economy. Government to transform Telangana into a major tourism hub. The state to host ‘Telangana Tourism Conclave 2018’ three-day event in the state. “A day would soon come when one can find Telangana State as a major destination in the tourism map,” the government was moving ahead with plans to develop heritage tourism, IT Hub, Pharma hub, medical tourism, adventure tourism he added. ‘Telangana Tourism Conclave 2018’ host by FTAPCCI president G Srinivas said. The event would be organized for three days between June 28 and June 30. Focusing on travel education, travel business development. business to business meetings. After executing a series of strategies for Kashmir tourism promotion in India, the J&K Government plans to host nearly 700 Indian tourism players to attract more tourists to Kashmir. The government, in collaboration with the Travel Agents Association of India (TAAI), will bring tourism agents and aviation players from March 25 to March 29 to the Valley. Zahoor Qari, chairman of TAAI's J&K chapter, told Kashmir Reader that the main aim is to tell the convention's invitees about the reality of the Kashmir Valley, which is in contrast to the wrong reportage done by Indian national news channels and newspapers. Last year, Kashmir Tourism players were left despondent with the state's hitting a palpable low in tourist arrivals. Their main strategy has been to dispel wrong notions of Kashmir in the states of India, a strategy to be adopted by the Government of India's special representative Dineshwar Sharma. As Kashmir always focused on Indian tourists than foreign for tourism growth. In the report it is mentioned the tourism industry players from all across India will meet in March to host the event. It is certain that this step will encourage the travelers to explore heaven on earth. It will definitely boost Indian tourism industry. Ministry of Tourism has announced 2018 as the year of Adventure Tourism. He Said, "the response rate toward border tourism is really well hence, we are planning to start the international Buddhist circuit, Dandi heritage zone, and a solar energy village"
The USP lies in the festivals which include the Rann of Kutch jamboree, Navratri, and the kite-flying festival. Attracting a lot of domestic and foreign tourists. Now, we have identified seven big golf courses and documenting our birds to develop niche tourism. Gujarat Tourism Ministry decided to soon promote International Buddhist circuit, Dandi heritage zone as it will show complete about Mahatma Gandhi presence. Digital Travel Summit APAC 2018 - The leading three - day digital event for travel, hospitality, and leisure, help to take travel and tourism industry to a next level.While in the past, all efforts were focused towards getting a customer to book immediately, the new-age digital strategy extends beyond the initial touch-point. The summit starts from 17th April to 19th April at the Resorts World Sentosa in Singapore. Summit APAC 2018 will help participants learn how to take their digital, e-commerce and customer experience strategies to the next level with enhanced personalization at every point. Many prominent personalities of the travel industry will participate. It will help participants perfect customer experience, creating a seamless cross-device UX for customers' evolving shopping habits.Through sessions, participants will also discover content that provides differentiation and real customer engagement, understand how to execute an effective omnichannel marketing strategy that both delights customers and increases direct bookings, and master mobile marketing. After the first edition of Abu Dhabi Week in Delhi and Mumbai in 2017, the second edition is all set to host this year in Kochi & Kolkata on February 16 and 23 respectively. After that, the exhibition will continue to host in Kolkata on February 23. Positioning Abu Dhabi as the ultimate destination for vacations, leisure travel, and weddings, the Abu Dhabi Week will offer an experiential mix of culture, art, entertainment, cuisine, and sports. It will also take guests on a virtual tour of the city in all its grandeur. ‘Abu Dhabi Week’ will offer variety of new experiences to its audiences including life-like encounters of Ferrari World Abu Dhabi, Desert Safari, and a glimpse of the majestic Louvre Abu Dhabi. "Owing to the growing levels of disposable income in the hands of Indian travelers, we believe that India is a crucial market with a potential to expand the tourist inflow in Abu Dhabi." The Ministry of Tourism, Government of India, took a great step to promote Indian tourism via India's Luxury Trains keeping in mind the importance of Social Media as an effective tool for destination branding and marketing, is organizing a Social Media Key Influencers' Campaign "The Great Indian Blog Train" involving bloggers and their communities from all across the world, who have been invited to travel in the Luxury Trains operating in different States. Around 60 Bloggers from 23 countries including India will be traveling on a week-long journey in royal luxury trains, i.e Palace on Wheels, Maharaja Express, Deccan Odyssey and Golden Chariot in groups of 15 Bloggers on each train. In order to give a boost to the promotion of India's Luxury Trains, Smt. Rashmi Verma, Secretary (Tourism), Suman Billa, Joint Secretary (Tourism) and Meenakshi Sharma, Additional Director General (Tourism), Ministry of Tourism, Government of India and other officials of the Ministry of Tourism, Government of India visited the Safdarjung Railway Station today for an interaction with the domestic and international Bloggers and see them off on their journey on the Palace on Wheels.Really a super step of the Indian government to promote Indian Luxury Trains on social media. Forget mountains, oceans, pebbled beaches and waterfalls. Mud tourism is a whole new concept to come close to nature mother earth, I bet you won't regret it. "Mud tourism" is booming as visitors flock to see rooftops poking above the bubbling lake and life-size statues made of mud. Like all forces of Nature, earth — in its gritty, runny form — can give both great joy and great pain. It can relax and rejuvenate, it can get you into a party mood or leave you reflecting on the destruction it leaves in its wake sometimes. The Daecheon beach is called Mud Square: for an entire week in July, The Boryeong Mud Festival is South Korea's biggest attraction for global tourists. Mud tourism is a whole new concept rising in tourism industry tourist all over the world comes to experience the different range relaxing and adventure activity. Think concerts and air shows, rowdy bouts of mud wrestling, mudslides and mud obstacle races. While rowdy bouts of mud wrestling, slides, and obstacle races set the tone of the event, there are plenty of niches and relaxing experiences to have as well, like massages and mud baths. Travelers across the world rejuvenate themselves by soaking themselves in mud, letting it dry all over them and then washing it off. In 2006, in a phenomenon commonly termed the "Lusi mud flow", mud just began spewing out of the ground in a paddy field and didn't stop. “Such was its scale and speed that it began to be called a "mud volcano", though the cause is still under debate”. Prime Minister Narendra Modi at Assam Global Investors’ Summit announces to have the world-class airport terminal in Guwahati. The scheme is set to increase the Assam's connectivity to other areas. The Power schemes worth more than INR 10,000 crore have been initiated in the northeast. Union Minister for the civil aviation P Ashok Gajapathi Raju and the chief minister Sarbananda Sonowal laid the foundation of the new international world-class airport terminal. The project is seen as a major boost to the aviation sector in the northeastern region. "Transportation and connectivity are the two most important means for economic prosperity. The government of Assam accords top priority to improve communication and wants to engage in the faster development of road, rail, and air linkages as well as internet connectivity," said Sonowal. Renuka Natu appointed to promote Swiss Mountain Destination. 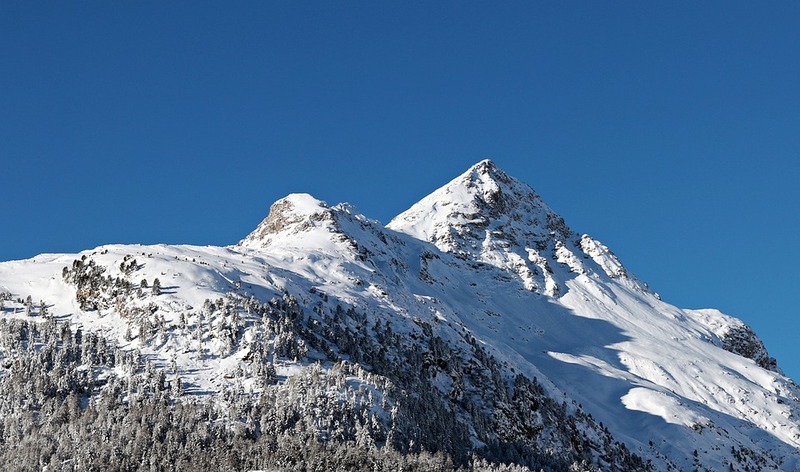 Travel representator Renuka Natu (RNTR) has been appointed as the India representative for Brunni-Bahnen Engelberg AG, a mountain destination in Switzerland. Renuka plans to promote Brunni - Bahnen Engelberg among the travellers who love to explore and enjoy mountain excursions. It is considered as the sixth product added to the portfolio of RNTR for promotions and marketing in India. Arun Jaitley, Minister of Finance, Government of India would like to convert 10 prominent tourist destinations into iconic and model destinations by adopting a holistic approach to development with private sector support. Finance Minister announced that they are planning to enhance the tourist experience of 110 monuments which comes under the ASI ( Archaeological Survey of India) under the scheme National Heritage City Augmentation. The ministry announces the construction of a tunnel under 'Sela Pass 'in Arunachal Pradesh to improve connectivity and tourism in that northeastern state. Sela Pass is a high-altitude mountain pass located on the border between Tawang and West Kameng Districts of Arunachal Pradesh, an area China claims to be a part of south Tibet. “56 un-served airports and 31 un-served helipads have been already activated under the Regional Connectivity scheme of the government and operations have already been started on 16 such places,” he said. With an aim to promote Sri Lanka as a preferred destination for Indians, Sri Lanka tourism board of the country, promote Sri Lanka tourism digital campaign in India. The national embark on a major digital marketing campaign spending USD 700,000 exclusively for India this year. According to Sutheash Balasubramaniam, Managing Director of Sri Lanka Tourism Promotion Bureau, they have already floated bids for the campaign and are in the process of finalizing the proposals to start the digital campaign latest by April or May this year. "We believe that the potential of the Indian travel market is yet to realize in terms of attracting longer stay and higher spending travelers. It is our fervent hope to make Sri Lanka the most preferred destination in Asia for Indian travelers," he said. Chitranganee Wagiswara, High Commissioner of Sri Lanka in India proposed advancing India and Sri Lanka as double goals as a component of a movement bundle.
" Governments can loan bolster, it is the duty of private industry to configuration travel bundles joining the two India and Sri Lanka. " She said in her current gathering with India's Tourism Minister, KJ Alphons. Sri Lanka Tourism will be participating at the SATTE 2018 (South Asia's travel and tourism exhibition), with 52 travel agents and hoteliers. Omar Al-Mubarak, Director General of the commission's licensing department said, "The tourist visa will be a single-entry visa valid for a maximum of 30 days. This visa is added to those currently available in the Kingdom. It is independent of work, visit, Hajj and Umrah visas." According to the reports, the country has many rules and regulations for the tourist visa. It is been finalized and their issuance will be announced during the first quarter of 2018. "The executive regulations for tourist visas have been finalized. The commission's IT department is currently building an electronic system for the issuance of tourist visas, coordinating with representatives of the National Information Centre and the Foreign Ministry," Al-Mubarak was quoted in Arab News. Its good for Saudi Arabia government as it will definitely increase the tourism and revenue generation for the country. It will help those women who do not have a companion or cannot afford one on their journey. According to the reports, the government introduces 325 more routes to airlines as well as helicopter operators under its regional connectivity scheme (RCS) to enhance flight services to hilly and remote areas, including Kargil. Ministry of Civil Aviation, 56 new airports and helipads are being connected to 36 existing aerodromes. The routes have been awarded to 15 airlines and helicopter operators after the bidding process for the second round of RCS, also known as UDAN (Ude Desh Ka Aam Nagrik), which aims to connect tier-2 and tier-3 cities and take flying to the masses. Among the major domestic carriers, out of total IndiGo has bagged 20 proposals, SpiceJet got 17 while Jet Airways won four. "In the second round, we have given RCS routes to helicopter operators also. In all, we got 141 proposals for 502 routes (for both planes and choppers). Letters of award have been given to 90 proposals for 325 routes. Out of these, 129 routes are in a newly created category of 'priority areas' that include Jammu and Kashmir, Himachal, Uttarakhand, North East, Andaman and Nicobar Islands and Lakshadweep Islands," R N Choubey, Secretary, Civil Aviation said. As per the scheme, RCS flights' fares are capped at Rs 2,500 per hour of flight for fixed-wing aircraft and for 30 minutes on a helicopter. This clearly give aviation industry a great height. Government's Digital India initiative, Minister of State for Tourism and Minister of State for Electronics and Information Technology, K.J Alphons launched the Incredible India digital calendar in New Delhi on Wednesday. Along with the digital Calendar, he also launched the Incredible India wall and desk calendar for 2018. The calendar has an application that enables users to know about the events and festivals happening in India on the go. The digital calendar App can be downloaded on Android and iOS platforms. It contains all the information about the festivals and events happening in the country and will also allow the user to plan their personal events accordingly. It helps the user by notifying the upcoming festivals and events, allow set up of customize reminders for individual events, share the events with friends and contacts, etc. The calendar contains all exclusive features making it a perfect travel planner on to go. The calendar is designed in such a way that, each day the user will get a different experience, stunning images of different tourist destination from all across India. which can be shared on various social media platforms also. Incredible India Desk calendar 2018 profiles has 12 different kinds of travelers that suggests the great destinations for them. The theme of the Desk Calendar is designed as "India for Everyone" showcasing India's incredible destinations for travelers. In 25th GST council meeting FAITH had made 9 major demands to the GST council in meeting with the ministry of finance. On 17th January 2018. 1. Tour operator to tour operator GST to be made available as it was earlier in the service tax regime.This will prevent the tax on tax in the tourism distribution value chain. 2. Administrations like elephant rides, camel safaris, event congregations and such others are at 0% rating. Elephant rides, camel rides, Amusement parks, joy rides have been brought down to 18% from 28%. IGST be made accessible for ardent properties for tourism convenience such as for hotels, cruises, campgrounds and for eateries (restaurant). Trade profit in tourism benefits as fares and give a zero rating or an extraordinary rating of 5%. Exchange esteem and not Declared Tariff ought to be the reason for rate arrangement of lodgings. Hotels above 7500 charge 28% GST, will be rationalized. Tour operator to tour operator GST to be made available as it was earlier in the service tax regime. Travel and Tours administrations outbound from India ought not draw in GST as they are in the nontaxable domain. Administrations like elephant rides, camel safaris, event congregations and such others be at 0% rating. Special arrangement and administrations account code of experience for visit administrators. With annual “Beat the Peak” campaign – the united kingdom to encourage Indian visitors to make use of the UKVI’s post-dated visa offer, which allows travelers to apply three months in advance from the date of their visa for when they travel. The post dated service benefit the visa applicant as Indian visitors are allowed to start their visa on their intended travel date. For example, If you are planning to travel in April, you can apply for the visa 3 months before January, whilst keeping the full six-month validity for when they intend to travel. “We want the UK to be a ‘must-go-now’ destination for visitors from India. Making it easy to travel here is an important part of our tourism offer. With our hotels, attractions, and shops, all offering great value for Indian visitors right now, it is a great time to come to Britain.” said by Tricia Warwick, Interim Director for Asia Pacific, Middle East & Africa. #BEATthe peak campaign 2018 was launched by the British High Commissioner to India, Sir Dominic Asquith KCMG to begun that intend to connect with the Indian visitor's showcase and urge them to visit Britain and apply ahead of schedule for their visa to do so. "Technology will allow us to know what the client needs before he even knows he wants it," says Alvaro Carrillo de Albornoz, head of Spain's Hotel Technology Institute. A hotel room automatically brings into an agreement according to the need of each guest, with new technologies like virtual reality headset, AI algorithm to track the guest hoping to benefit from lucrative personal data. A prototype of the hotel industry for checked-in will completely change. Hotels of the future will provide checked-in via a mirror equipped recognition. Once the client is identified, the room adapts itself automatically to all demands made at reservation: temperature, lighting, Picasso or Van Gogh in the digital frames hanging on the walls. Even the lock is intelligent — it opens and closes via the WhatsApp application on the client’s phone. Apart from data collection, AI algorithms will help in determining the client's like and dislike offering a tailor-made experience or sell them additional products for their special events and purpose. All purchases can be made automatic. Virtual reality (VR) headsets will be provided to the visitors so that they can carry with them and can get the amazing experience of the place. Promoting this tool to tourism professionals as the brochure of the future, without too much success so far in some places by virtual reality travel agents in the world. However the continuous growth in travel and tourism industry, there are many trends where the industry is flourishing at a fast rate. The tourism industry of the country has undergone various changes over the time. and the statistics become outdated quickly. Here's our breakdown of 2018's travel trends and how the industry can get ready for a whirlwind year. With the setups like hostels for travelers, various pocket-friendly low budget options have come up recently in India.The taxes and other expenses for moving around the country are comparatively lower from other foreign destinations, therefore, it also becomes a good choice for budget travelers from around the globe. Visa on arrival boost tourism as the visit of foreign visitors has been observed more, this policy is expected to be extended to more than 100 nationalities in the coming years. A recent surge in the number of boutique hotels in the country has offered a wide variety of staying options for tourists. These boutique hotels provide the comfort while letting the visitors indulge more in their surroundings, thus promoting tourism. Domestic as well as international tourists both are expressing continued interest in exploring new and lesser-known destinations in the country. So the opportunities for the future are amazing, the future of the Indian travel and tourism industry definitely looks bright with the latest trends prevailing. To give it a further boost, West Bengal tourism department has taken an elaborate promotional plan for the northern corner of the state as a part of its international travel mart 'Destination East'. "Among all sectors of trade and commerce, tourism business has been one of the deepest sufferers of the situation. Now it is the time to turn around," said tourism minister of the state Gautam Deb. "Under Destination East travel mart, a special promotional initiative has been chalked out to showcase Darjeeling hills and adjoining foothills to the international travel trade representatives," He added. "Their first-hand experience will be the confidence builder for travels from their respective locations to Darjeeling as well as the entire eastern Himalayan region," said veteran travel consultant Raj Basu. Destination east is a joint endeavor of state tourism and Confederation of Indian industries to showcase and promote new and non-conventional to international buyers. Beginning in 2010 with 30 representatives from south Asian countries only, the travel mart will have 102 visitors from 30 countries in 2018. India and Egypt have a tremendous potential to raise tourism through shared experiences, according to travel experts. The Maulana Azad Centre for Indian Culture (MACIC) of the Indian Embassy has organized a seminar on 'Sustainable Tourism: New Avenues for Development' with the participation of eminent Indian and Egyptian speakers. The discussion held last week Thursday focused on sharing experiences from developments in the space of tourism in countries like India and Egypt. Which have the incredible scope and potential to benefit from the tourism sector.In the seminar, the speakers focused on the promoting tourism as both the country has rich civilization. Elhamy el-Zayat, ex-chairman of the Egyptian Tourism Federation said that social media is an important tool to promote tourism in both countries. "I always say that we have tools that we didn’t have in the past, which social media. We can always say stories that are interesting for everybody,"
The Speakers also mentioned that one of the finest ways to promote Indian tourism in Egypt is showing more Bollywood movies as they are already gaining more fans in Egypt. Some Indian movies have already been screened on the big screen in the recent period. Indian railways to promote the brand of rail tourism on select routes. Indian tourism industry focus to Promote rail tourism in the country. As the Rail department asked its zonal its zonal arms and public sector undertakings to outsource their ticketing and catering works to IRCTC and concentrate on branding. “In a letter on January 3, Railway Board chairman Ashwani Lohani has asked all zonal railways to promote the brand of rail tourism on select routes. He has asked them to identify tourist and luxury trains and brand them both on the interior and exterior. He addressed one of the major objectives of the travel community which said that the running schedules of such trains were not made clear. In order to cut down on delays, the board has now entrusted the Director, Coaching as the nodal officer for luxury trains. The executive can now be directly approached for approval on any scheduling issues, instead of the zonal railways. Sources say that the board now take initiative to promote rail tourism seriously with state tourism departments. India Tourism to showcase its visitor the whole new experience through VR ( Virtual Reality) in the Netherlands, showcase the country’s cultural richness to visitors. Vakantiebeurs (Holiday Fair) 2018, the largest tourism event in The Netherlands will be able to view India's major tourist attractions in virtual reality (VR) at the 'Incredible India' and 'Kerala Tourism' stalls in a novel initiative taken by the Embassy of India in collaboration with India Tourism. The India Tourism and Kerala Tourism stalls and virtual reality displays at the Vakantiebeurs (Holiday Fair) will be inaugurated by Ambassador of India and Netherland, Venu Rajamony and the Mayor of Utrecht Jan van Zanen respectively. The VR facilities will let the visitors view immersive 360-degree videos and in turn experience some of the most popular tourist attractions in the country, including Qutub Minar, Amer Palace, Khajuraho, Nalanda, Kailashnath Temple, Athirappilly Waterfalls, Alappuzha Backwaters, and various other cultural and natural landmarks in India. India to promote tourism growth over 10% growth in six months ending september 2017. Increased budgetary support for tourism sector and will boost the domestic tourism in india. Where the rising incomes are changing the consumption pattern of millions of Indians. “hoping to boost economic growth and create more jobs”. This would definitely boost the domestic tourism and will make India the world's second most populous nation. “We’ll announce measures in the budget to promote investment in the tourism sector,” a top finance ministry official told Reuters, adding that Finance Minister Arun Jaitley favours lowering a 28% tax on hotel tariffs, and offering incentives to attract private investments. CHEAPER FLIGHTS India needs about 200,000 new hotel rooms, Tourism Minister K.J. Alphons told parliament this week. ONLINE PLAYERS Tour operator said that the online players will get the double digit hikes. A huge no of foreign visitors visited india last year. The domestic travellers also boot the online player growth. “The government must lower the tax burden, ease rules and build infrastructure if it wants to ensure 15-20% annual growth in tourism in coming years,” said Sarkar of IATO. France, the country emerged as the world leader in promoting sustainable tourism. Report state that the country leads as the world leader in promoting sustainable tourism and preserving their social, cultural and natural capital of the country. As per The Economist's Sustainable Tourism Index, the first place is occupied by Europe, with France, Germany and the UK taking up the top three spots. "Of the ten countries included in the index, only France and Germany have taken concerted and sustained action at the national level to develop policy, set targets and monitor results," researchers write. France preserved it's sustainable tourism and sets specific targets and guidelines for carrying capacity and tourist attraction worldwide. Studies say, Tourism contributes about 5% of the worldwide greenhouse gas emission and is expected to grow more in the coming years. The overflow of tourist leads to the physical degradation of several natural and historical assets. As per the ranking report, here we have mentioned the top 10 countries on the basis of Sustainable Tourism Index. Uttar Pradesh, Yogi Adityanath government has undertaken the development of 10 new airports in Uttar Pradesh (UP) to boost religious business tourism in India by increasing the connectivity between the religion, region and business to boost the economy of the country. The Union Civil Aviation Ministry, develop Agra Kanpur airport after bidding under the regional connectivity scheme in the first phase. In second phase the government also decided to built 10 more new airports - Allahabad, Aligarh, Bareilly,Azamgarh,Chitrakoot, Hindon (Ghaziabad), Jhansi, Moradabad, Muirpur (Sonbhadra), and Shravasti are under the project. As these are the prominent cultural and religious tourism places in Uttar Pradesh. Kanpur (Leather) , Aligarh (Lock Making Units)and Moradabad (Brassware) are the place have industry that will help in the business growth. Yogi government had urged the Center to expedite the proposal in order to boost the religious business tourism in India. ‘Travel and Tourism’-the new engine for India growth. Cruise tourism is one segment of the tourism industry and is famous all over the globe. It is one of the expensive, luxury tourism witnessed a steady growth over time. India also has a large number of travelers who choose to spend time at sea and explore popular destinations at the same time. An increase in the cruise tourism will increase the economic growth of the country as the purchasing power for India’s middle class has fuelled a rising demand for luxury travel. Mumbai developing the city as a homeport, Jayakumar Rawal along with the chairman of the Mumbai Port Trust Sanjay Bhatia working to boosting tourism in Mumbai the port has huge capacity to explore. Tourism Minister Jayakumar Rawal said that the “shipping ministry plans to convert all six ports into cruise ports”. He also lauded the Immigration Department for introducing e-visas at ports like Mumbai, Goa, Kochi and Chennai. He also announced Mumbai Mela, a shopping festival on the lines of the annual shopping event in Dubai to attract more people to the city. The European Union’s Mobility and Transport Commissioner Ms Bulc has invited India to explore a longer engagement in the civil aviation industry. Ms. Bulc talked focused on the importance of global agreement on railways and safety, security and improvements in airports. Which result is the growth in the aviation sector in India. This will explore new career opportunities in the aviation industry in all possible concrete areas. In an interview, Violeta Bulc said that she met Civil Aviation Minister Ashok Gajapathi Raju on Tuesday and had suggested holding an annual aviation summit in India to explore ways to improve safety, security, and the size of airports. She also met Road Transport Minister Nitin Gadkari and Railways Minister Piyush Goyal, where she discussed the issues related to railways and road safety. The government said that the value of medical tourism in India is likely to touch USD 9 billion by 2020 forecast as compared to the USD 3 billion in 2015. Tourism Minister KJ ALphons today informed the Lok Sabha that India has developed as a major medical tourism destination over the years. According to a Ministry of Commerce report 2016- India is ranked among the top six medical value travel destinations of the world including - Thailand, Singapore, Malaysia, Taiwan and Mexico. "It is further informed that as per the report, through adequate focus and effective execution, Indian medical value travel, pegged at 3 billion USD in 2015, can be 9 billion USD opportunity by 2020", the minister said. Kerala, is now an all weather tourist hotspot. The state Tourism Department is all set to promote Global Awareness campaign to promote MICE tourism ( meeting, incentives, conference, exhibitions) promoting withdrawal of liquor ban as it widely liquor ban decreased the popularity of the state as MICE. The meating is all about how how tourism industry generally felt that tourism policies should hold good for least 5 years. "Targets should be set, and the implementation of various aspects of the policy should also be subjected to regular monitoring and supervision," Mr Iyer said. "MICE tourism has opened up infinite possibilities for tourism in the state but the policies of the former government had played spoilsport," tourism minister Kadakampally Surendran said. "MICE tourism will go a long way in tackling the crisis in the tourism sector," the minister said. "Water sports, golf and casinos that were in the wish list of foreign travellers should be set up at any cost," Mr Iyer said. The minister, however, was sceptical about giving in to the wishes of foreigners. "We need to create a unique Kerala experience," he said. Mr Iyer also raised the militancy of trade unions in the state. "Such issues have dampened the state's MICE tourism potential. Demonetisation and the liquor ban imposed by the former UDF government had also affected MICE tourism in the state," he added. It is decided a digital platform should be created in order to promote MICE tourism "A blog should also be created for the internet promotion of MICE tourism in the state," said Anish Kumar, the president of ATTOA. The city of ports got new wings, Visakhapatnam airport (Vizag Airport) is now the entry gate for foreign tourist. The center has finally given approval for the introduction of e-Tourist visa on arrival (e- TVOA) launched by Chief Minister N. Chandrababu Naidu on Saturday. "Tourists and businessmen coming to Visakhapatnam so far had to get their e-Visas either in Hyderabad, Bengaluru or Chennai. The e-Visa facility will now make it easier for them to land in Visakhapatnam directly. Already visa-on-arrival facility is available for visitors from certain countries," Meena said. In Andhra Pradesh Vizag airport is the first to facilitate e- tourist visa, the visitor could stay here for two months and can utilize the medical tourism facilities provided by the state. There are 16 airports in India that give e- Tourist visa on arrival and now Visakhapatnam joined the list. The facility of e-visa is extended to facilitate foreign tourist to fly into Andhra Pradesh. Tourist from Finland, Luxembourg, New Zealand, Singapore, Cambodia, Japan, Vietnam, Philippines, Laos, Indonesia and Myanmar do not need e-Visa or Visa in advance and they can take the Tourist Visa on Arrival (TVOA) at eight airports — Delhi, Mumbai, Chennai, Kolkata, Kochi, Thiruvananthapuram, Hyderabad and Bengaluru. Tourism on rising? Tourism industry hoping a boost in tourist attraction in Mysuru and Kodagu - the new international airport Kannur, Greenfield airport in Kerala which will shortly inaugurate for flight operation shortly. Authorities invite Mysuru Travels Association for a tour of the greenfield airport as it opens a new tourist gateway for Kodagu and Mysuru as it eventually improves the bonding between the two states boosting tourism and also grows it economically. According to tour and travel tourist who wishes to visit Mysuru and Madikeri may opt travel to Kannur instead to Bangalore airport. The MTA invited to the stakeholders and authorities for a tour of the greenfield airport to check and start the operation. The ministry reported, the number of constantly increased of tourist arrivals( FTAs) in India inThe number of foreign tourist arrivals (FTAs) in India from November 2017 was 10.05, while it was reported 8.78 lakh in November 2016 and 8.16 lakh in November 2015, according.Hence, looking at the number of the visitor we can accept a huge growth tourism industry in coming years. Road transport and highway minister on Monday came with a big plan to promote Indian tourism industry by exploring the possibility of connecting India with Asean Countries through cruise tourism. He said that he already had talked about this with the companies about the cruise connectivity from Singapore exploring the various option. He also pointed to the connectivity projects such as India -Myanmar-Thailand trilateral highway project and also discussed about the establishment of marine transport working group with Thailand, Cambodia and Vietnam. After a gap of three years, Darjeeling a small popular hill station is all set to host 5 days tourism festival “Teesta Rangit Tourism Festival 2017’ from December 27 till New Year’s Eve. “The aim of the business meeting is to see how Darjeeling can be developed economically and which industries can be brought here for investments. The principal secretary of the GTA is coordinating with the West Bengal government in this regard and a meeting was held at Nabanna (state secretariat) on December 4 to figure out the logistics. We don’t know which industrialists will be coming but the West Bengal government is likely to inform us by next week the names of the industrialists,” . "We are planning to invite foreign consulates and embassies to visit and participate in the festival in order to send out the message to the world that the situation in Darjeeling is normal again, and visitors can enjoy the peace and serenity of the hills,"Tourism Minister Gautam Deb said. Hill stations, largely depend upon tourism, tourist attracts to the remote places villages and several lesser-known destinations situated in different parts of the hills. Said GTA principal secretary Subrata Biswas. He added the festival includes four venues -- Darjeeling town, Kurseong, Kalimpong and Mirik. "Local arts, dresses and cuisines will be showcased at the festival to cater to different interests of tourists. Adventure sports like rafting, paragliding, hiking and leisurely pastimes like bird watching will also find a mention in the promotional activities,"
The government to invest Rs 57 crore, implement new tourism development projects in Kozhikode.Tourism Minister Kadakampally Surendran has said. Observing the good tourism prospect in north Malabar the Kerala State Institute of Hospitality Management here on Thursday decided to open the works for boys’ hostel. The government would implement new projects that are beneficial for local communities, promoting the eco-tourism and cultural-tourism. All the projects would be scrutinized to ensure about the quality.Mr, Surendran the tourism minister said “ the government will work on girls hostel would start from next year” he participated in the cake mixing ceremony and distributed sweets in orphanages. After the cake mixing ceremony, the minister introduced about the cultural zone at the Kozhikode beach. The tourism department plans how to go head with the cultural tourism to set up two more stages to utilize them as permanent venue rich heritage for more tourism for the Kerala Literature festival. Observing the tremendous tourism potential in Northeast the Union Ministry of tourism decided to promote Northeast as a single tourism destination targeting to double the tourist inflow within next three year. "From 2013 to 2016, the tourism sector in North East grew by 5.2% During this period, 77 lakh domestic and 1.6 lakh foreign tourists visited the region. This growth is encouraging, but it is just the tip of the iceberg," According to Ms Verma, "If we do an aggressive marketing campaign and awareness it is not difficult to double the foreign and domestic tourist arrival in next few years." Reportedly the ministry has selected to promote eight north-eastern states (Arunachal Pradesh, Assam, Manipur, Meghalaya, Mizoram, Nagaland, Sikkim and Tripura) as the region has a huge potential of cultural heritage, eco-tourism and adventurous tourism under the current slogan- Paradise Unexplored. Thus, it's good news for the tourism industry, We can expect that this will create a lot of jobs and opportunities for locals as well as travel agencies. Taj Mahal, among the seven wonders of the world, with over 8 million visitors per year, the monument of love, crafted in the ivory -white marble. Ranked second best UNESCO world heritage site around the world built by Shah Jahan(Mughal emperor ) in the memory of his wife Mumtaz Mahal located in UP (Between 1631-1648). “The big problem is touts (locally known as 'lapkas') who operate in well-organised gangs. They pose as guides, photographers or taxi drivers and start pestering tourists, both Indian and foreigners, for their services and charge exorbitant rates from them. They sometimes even get aggressive with tourists and go to the extent of threatening them, if the latter refuses to take their services. It's high time the activities of these lapkas are stopped," adding that with the availability of modern technology the system can be streamlined. Iguazu Falls (Argentina and Brazil), the Sassi of Matera sites in Italy, Auschwitz in Poland, the Old City of Jerusalem, areas in Istanbul, Turkey, and the Old City of Krakow in Poland also made a place in the list. Hello, traveller if you are planning to visit the West Bengal this winter. Here is a unique move by the West Bengal Tourism Development Corporation (WBTSCL) has decided for his travellers who stay at the resort of the State Tourism Department during their tour, sharing their experience in the resort will give REWARDS. The reward can be either in a form of cashback or as an attractive discount in the next tour of the client when he books a government resort. Travellers can share their experience on WBTDCL Facebook and Twitter page too through which a visitor can share his opinion and there is a dedicated team of officers who keep constant track of such posts. "The email id of the managing director and general manager (operations) are mentioned in the reception of every resort. Customers can always send their feedback or experience in the email which will reach us directly and we will keep a record,"
“People touring different parts of the state or the country or abroad has a knack for sharing their experiences on social networking sites or on different travel websites and tour operators. Based on their staying experience in hotels or resorts travellers are encouraged to explore these places. We have decided to reward those people who will shower praises for our resorts"
4)Security oversight and co-operation among states and with local organisations. In a statement as per, IATA director general and CEO Alexandre de Juniac said “flying is secure, but it is also clear that aviation faces security challenges"
“We have great expectations for GASeP. But states are sovereign and there is no global security regulator”“So governments must fully feel the weight of their responsibility to protect the security of four billion travellers each year." (4) the proficient execution of new and existing technology expertise. CNN uncovered the first 25 most visited destination in 2016 and visitor predictions for 2017. The ranking is based on Euromonitor International's study in 100 nations and depends on the number of foreign visitors that spend 24 hours or longer in a city. 1. Hong Kong: 26.55 million in 2016; 25.7 million expected in 2017 (-3.2% growth). 2. Bangkok: 21.25 million in 2016; 23.27 expected in 2017 (9.5% growth). 3. London: 19.19 million in 2016; 19.8 expected in 2017 (3.4% growth). 4. Singapore: 16.6 million in 2016; 17.6 million expected in 2017 (3.4% growth). 5. Macau: 15.39 million in 2016; 16.3 million expected in 2017 (5.9% growth). 6. Dubai: 14.9 million in 2016; 16.57 million expected in 2017 (11.2% growth). 7. Paris: 14.39 million in 2016; 14.26 million expected in 2017 (-0.9% growth). 8. New York City: 12.65 million in 2016; 13.1 million expected in 2017 (3.6% growth). 9. Shenzhen, China: 12.57 million in 2016; 12.96 million expected in 2017 (3.1% growth). 10. Kuala Lumpur: 12.29 million in 2016; 12.8 million expected in 2017 (4.5% growth). 11. Phuket, Thailand: 10.6 million in 2016; 12 million expected in 2017 (14% growth). 12. Rome: 9.4 million in 2016; 9.6 million expected in 2017 (1.8% growth). 13. Tokyo: 9.27 million in 2016; 9.7 million expected in 2017 (4.8% growth). 14. Taipei: 9.2 million in 2016; 9.3 million expected in 2017 (1% growth). 15. Istanbul: 9.17 million in 2016; 8.6 million expected in 2016 (-5.8% growth). 16. Seoul: 9 million in 2016; 7.66 million expected in 2017 (-14.9% growth). 17. Guangzhou, China: 8.6 million in 2016; 9 million expected in 2017 (5.3% growth). 18. Prague: 8.18 million in 2016; 8.5 million expected in 2017 (4.5% growth). 19. Mecca, Saudi Arabia: 7.96 million in 2016; 8.7 million expected in 2017 (9.8% growth). 20. Miami, Florida: 7.8 million in 2016; 8 million in 2017 (3.1% growth). 21. Delhi, India: 7.4 million in 2016; 10.26 million expected in 2017 (37.7% growth). 22. Mumbai, India: 7.19 million in 2016; 8.9 million expected in 2017 (23.5% growth). 23. Barcelona, Spain: 7.04 million in 2016; 7.6 million expected in 2017 (8.3% growth). 24. Pattaya, Thailand: 7.02 million in 2016; 7.3 million expected in 2017 (4.2% growth). 25. Shanghai: 6.9 million in 2016; 7.2 million expected in 2017 (4.3% growth). AirAsia has announced the launch of a travel fair in Hyderabad organized along with Tourism Malaysia. This fair is aimed at promoting tourism between India and Malaysia and so it could help to contribute to the socio-economic development of both the countries. Various offers and deals have been announced at this fair, one of it is up to 20 percent off flight ticket. The offer is valid on bookings made between November 3 and November 5 for travel between November 6, 2017 and April 30, 2018. This discount is applicable on flights from following cities to Kuala Lumpur.